We’re taking part in this year’s Midnight Walk to raise funds for St Elizabeth Hospice. This popular event raises thousands of pounds for much needed care at the Hospice and this year we’re delighted to be helping to increase the amount raised. 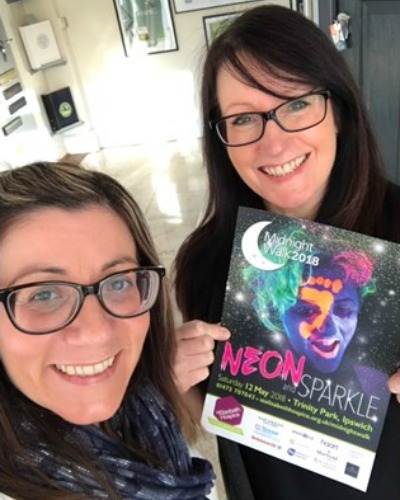 This year the theme is “Neon and Sparkle” so we’ll be donning our brightest, most sparkly attire and joining thousands of others as they pound the pavements of Ipswich. To help us raise funds for this amazing cause, please visit our Just Giving fundraising page.